*Note - Independent Study and Individualized Instruction are not considered online courses and subject to the miscellaneous fee schedule. To apply for aid, file the Free Application for Federal Student Aid (FAFSA) at www.fafsa.ed.gov or contact the Financial Planning Office at (570) 662-4418 for a paper application. 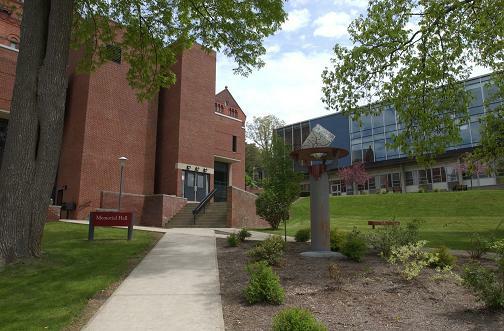 Identify Mansfield University (003324) as an institution of choice on the FAFSA application. If you don’t do this, we won’t get your financial analysis and we will be unable to process any aid. Student loans are the primary source of available aid. Students may apply for Federal Stafford Loans at www.aesSuccess.org. Alternative loan financing is also available by going to www.collegelenderlist.com. To retain financial aid eligibility you must maintain Satisfactory Academic Standards. For additional information regarding financial aid, please call the Financial Planning Office at (570) 662-4418. Graduate assistantships are available each year to full-time graduate students (minimum of nine graduate credit hours) and includes a waiver of Pennsylvania tuition and selected fees, as well as a bi-weekly stipend. Graduate assistantships provide the graduate student with opportunities for professional, collegial, and academic growth. To this purpose, graduate assistants are assigned to work in a professional area on campus. Awards are based on a competitive process. Students should apply for an assistantship by March 15 to be considered for the following academic year. Contact the Associate Provost’s Office, 204 Retan, or (570) 662-4565, for additional information and/ or an application. Failure to meet your financial obligation by the due dates may result in future registrations blocked and transcripts withheld. The minimum amount required to confirm your registration is your total charge, LESS financial aid, DIVIDED by two, PLUS any beginning balance. Payment of the minimum amount due will allow you to defer the remaining balance due for six weeks. Failure to make full payment will automatically incur a deferred payment fee of $50. For additional information contact the Student Accounts Office, (570) 662-4888, 224 South Hall. Official Transcript Charge: An official transcript charge of $5, to be paid in advance, will be assessed for each official transcript provided by the University. The charge includes the cost of postage to a United States destination. Students desiring special handling or out-of-country mailings will be assessed the cost of those additional services. Unofficial transcripts are provided at no cost.